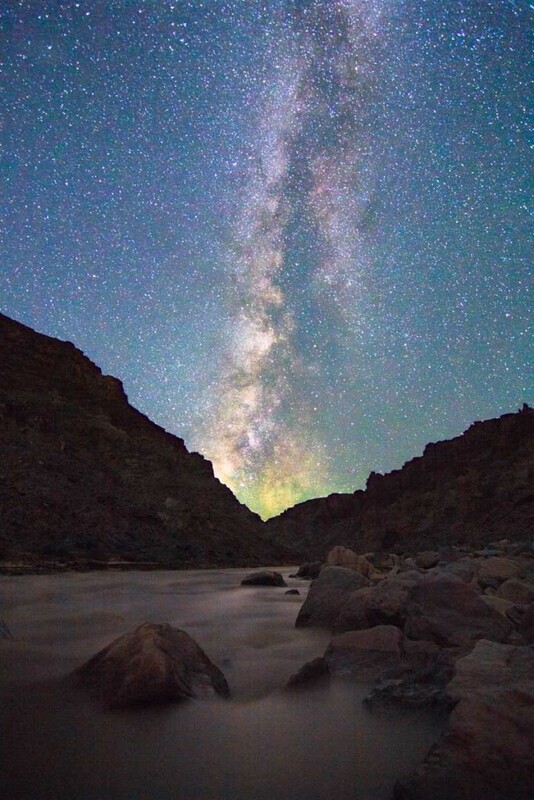 SALT LAKE CITY, UT, Dec. 3, 2015 – Veteran adventure travel company, Holiday River Expeditions, clusters spokes with stars and river canyons with constellations in a new trip line-up for 2016. White Rim Trail Mountain Biking in Canyonlands National Park. 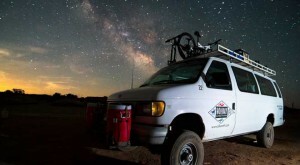 This trip explores Canyonlands NP, recently certified as a “Dark Sky Park” by the International Dark Sky Association. Luminaries to be revealed include the Milky Way and the Andromeda Galaxy, among others. While looking up, guests will stand 1,000 feet above the confluence of the Green and Colorado rivers. 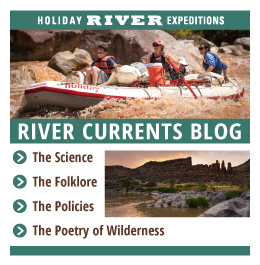 The group meets up at Holiday River Expeditions headquarters in Green River, UT. A two-hour van ride to the head of the Shafer Trail marks the start of the trip. After that it’s pedal power on some of the most technically challenging mountain bike trails in the country. A telescope accompanies the guests. Scheduled trips are May 7-9 and Oct. 1-4 and the per person rate is from $750. Green River through Lodore Canyon in Dinosaur National Monument is a July 5-8 river rafting departure through a protected region recognized by the National Park Service as a “Sanctuary of Natural Darkness.” This trip connects to ghosts of river-runners and canyon dwellers of the past while escaping into deep-red cliffs and exhilarating whitewater. On this trip with binoculars and the naked eye guests explore the Milky Way, see the Andromeda Galaxy, watch satellites and meteors, and learn the constellations. The per person rate is from $935. Colorado River through Cataract Canyon in Canyonlands National Park is a Aug. 1-6 departure cradled in Canyonlands National Park. Again the Andromeda Galaxy, satellites and meteors take center stage at night. Days are spent luxuriating in the sunshine, exploring ancient side-canyons (many with rock art and ruins) and facing some of the biggest whitewater in North America. The per person rate is from $1,175. For more information, availability, reservations or a copy of the 2016 catalog please call 800-624-6323, Email: [email protected] or log onto: https://www.bikeraft.com/.